Make sure you have the Chili Piper browser extension installed. 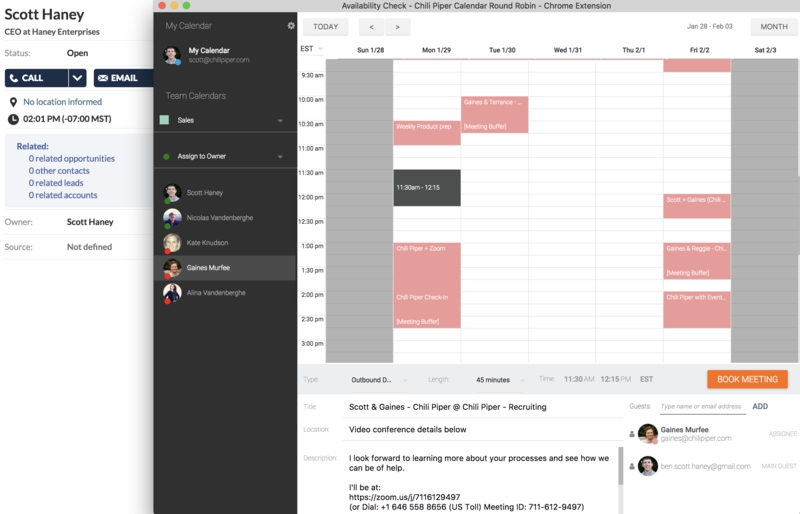 If you do, you will see a button that allows you to book meetings directly in your contacts page in FrontSpin. You can book in your own calendar, as a round robin for your account executives, the territory owner, or the account owner. You also have the option to use a combination of all the above. 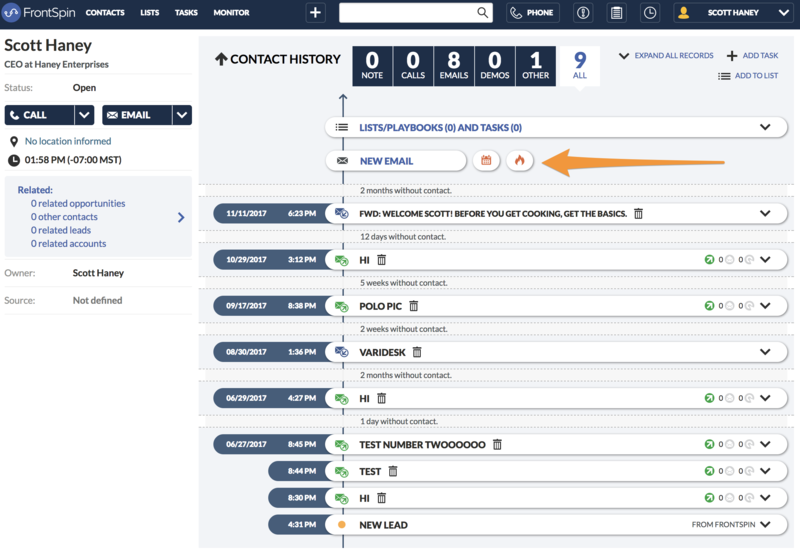 Your admin can configure Chili Piper with complex rules so that you don’t have to search for the correct calendar at the time of the booking. Lastly, pick a time that works for all parties, and click "Book Meeting." 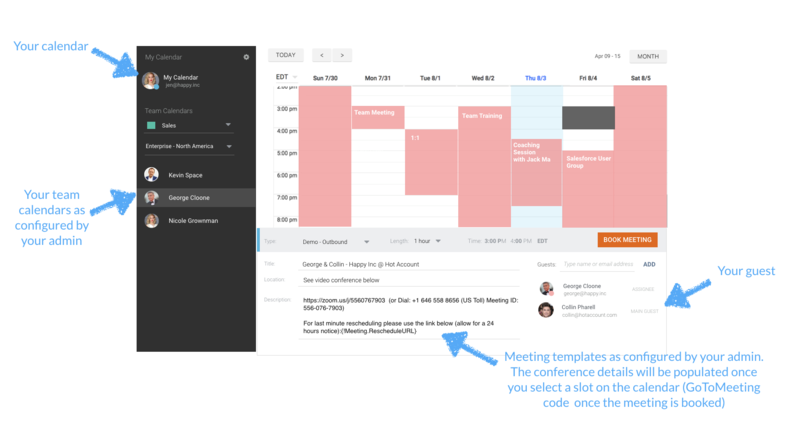 Make sure the meeting templates for your team and for yourself are setup correctly, as templates will automatically populate. The meeting will be saved and sent from the corresponding calendar. Optionally, you can automatically create an event in Salesforce as well (with ALL the information captured automatically in the right place).